My GSD is 5 months old.He weight abt 18kgs.We give him 4 meals a day of porridge ,milk with about 150gms of dog food(Royal Canine). When he was abt 40 days he had massive stomach infection because of which he was on a drip for 9 days.He's fine now,extremely playful and active but is a little thin for his age. Kindly suggest what we can do to improve his health.Your help will be greatly appreciated. If your puppy is getting over an infection like the one you mentioned above it will probably take him time to put back on some weight. Just keep in mind that GSD pups at this age are often a little on the thin and gawky side to start with so that is fairly normal. With that said, if your puppy is extra thin there are many things you can do to help your puppy back to its normal weight. 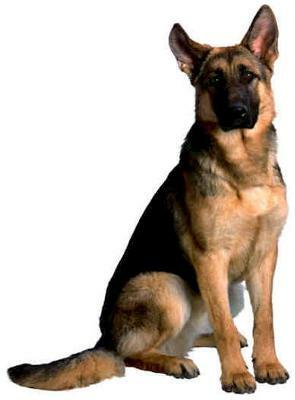 Assuming your German Shepherd puppy is eating fine and not a picky eater you can increase his puppy food just a bit each meal and also add things like an additional scrambled egg or even boiled chicken meat (not the bones) as a standalone snack to help increase his caloric intake. Good luck!